You probably know that titanium is one of the strongest metals on the market today. Titanium is roughly twice as strong as aluminum is, despite weighing only about 60 percent more than it. It’s also every bit as strong as steel is, despite weighing a lot less than it. But what else do you know about this hard and silvery metal? Let’s check out some other interesting facts about titanium. It was discovered more than two centuries ago. Titanium was first discovered all the way back in the 1790s by a British mineralogist named Reverend William Gregor. He initially called it menachanite, but a German chemist named M.H. Kalproth later changed it to titanium. Kalproth named it after the Greek gods known as the Titans. It is found in other parts of the solar system. 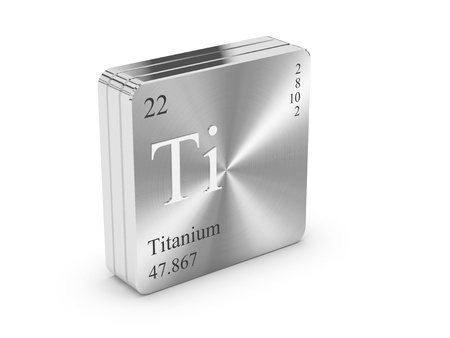 Titanium is the ninth most abundant element found inside of the Earth’s crust. The largest suppliers of titanium are located in Canada, Australia, and South Africa. But it’s also found in places other than just on Earth. Scientists have also found evidence of titanium on the Moon, in some stars, and in meteorites. It is extremely resistant to corrosion. Most people are familiar with the fact that titanium is very strong. But not everyone knows that it’s also one of the most resistant elements when it comes to corrosion. It’s actually found a home in the medical industry because of this. Titanium can be used to join human bones together because of its strength, weight, and corrosion resistance. It’s also often used during knee and hip replacements and utilized to make medical instruments like needles, scissors, tweezers, and more. Are you looking for a medical-grade titanium supplier? Eagle Alloys has just what you need. We can provide you with titanium for medical purposes and talk to you more about the benefits of relying on titanium during certain medical procedures. Call us at 800-237-9012 today for additional information on titanium.